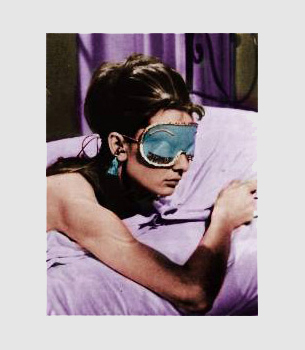 I love a good sleep mask. Especially with the fact I have been horribly ill for the past few days, I wanted nothing more than to put something decently cute over my face whilst in bed dreaming of feeling better. Not only is a sleep mask perfect to cover a slightly imperfect face when one is sick, but for actual sleeping of course. I am off to Aruba for a week on Thursday and this is when I also feel the need for a cute mask to make the six plus hour plane ride a little more relaxing. Find below a mask I saw recently that I am in love with. 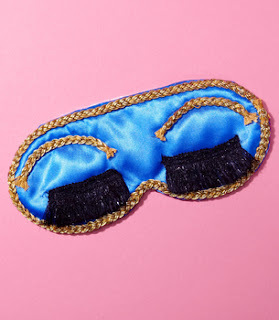 Buy this adorable sleep mask here. Do you rock a sleep mask from time to time? If so, what are some of your favorites?